For centuries, sailors have ventured out to sea and lived through storms, and they will continue to do so for centuries to come. But, once every 100 years a storm comes along that is so big and so destructive compared to the rest that it is called the "Storm of the Century". 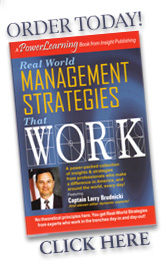 Storms such as this present a crisis for some and an opportunity for others. But for all who experience it, it is something they will remember for a lifetime. 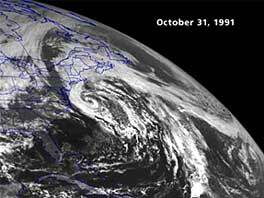 In late October of 1991 three separate storm systems collided off the coast of New England. A tropical storm named Grace developed from a low near Bermuda and started moving north. Simultaneously, a cold front associated with a high-pressure system was being propelled southeast from Canada by the Jet Stream. And a low-pressure system stalled near Sable Island, Nova Scotia in the direct path of the Canadian High and the Bermuda Low. The resulting combination formed a well-defined "eye" off the coast of New England, spanned 1500 miles, and moved in retrograde motion from the east to the west. Even though it eventually qualified in all respects as a hurricane, the National Hurricane Center did not name it because it developed considerably north of the Caribbean's Hurricane Alley and it's origin was remarkably unusual. So some people called it "The No Name Storm" and others referred to it as "The Halloween Storm". Because this storm was so big, so ferocious and so destructive that it could not have been any worse, one meteorologist described it as "The Perfect Storm" when Sebastian Junger was conducting research for his book. Outlining His Programs and Background!